But the biggest sore point for lawmakers appeared to be Equifax’s new $7.25 million contract with the Internal Revenue Service signed last month. Both sides of the aisle condemned the no-bid contract. 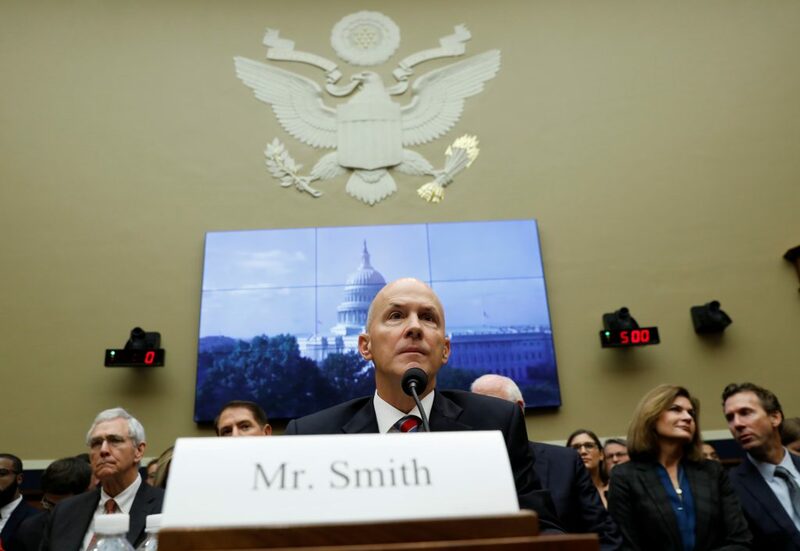 In a prepared testimony ahead of his appearance before a congressional panel, former Equifax CEO Richard Smith said he was "deeply sorry" about last month's data breach. But how exactly did that happen? Smith offers his own version of events. Former Equifax CEO Richard Smith's first hearing on Capitol Hill will be before the House Energy and Commerce Committee on Tuesday. It is scheduled to begin at 10 a.m. ET. Watch the hearing here. The update comes as Equifax's former CEO, Richard Smith, who announced his retirement last month, will testify in front of Congress starting Tuesday.